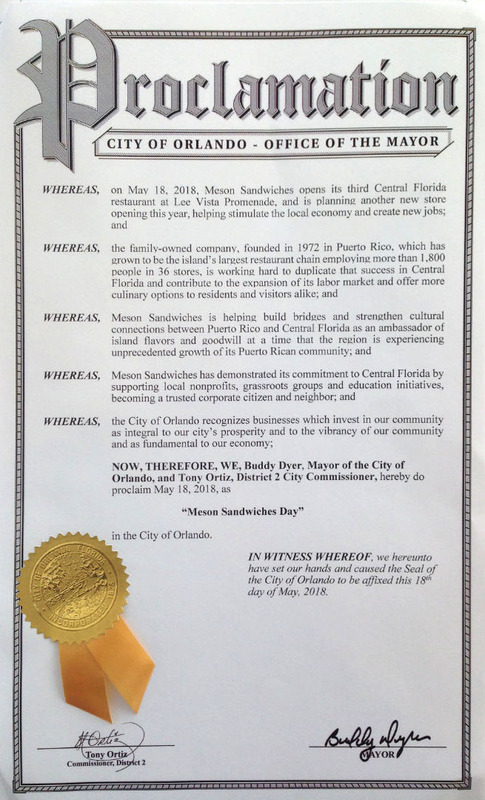 ORLANDO, Fla., May 18, 2018 – May 18 was declared “Meson Sandwiches Day” by Orlando Mayor Buddy Dyer, who honored the Puerto Rican restaurant chain with a proclamation this Friday during the grand opening of its third Central Florida store. The celebration was also attended by Florida Gov. Rick Scott, who awarded the Governor’s Business Ambassador medal to Meson president Felipe Pérez-Grajales. Scott also unveiled Florida’s latest employment number at the event. 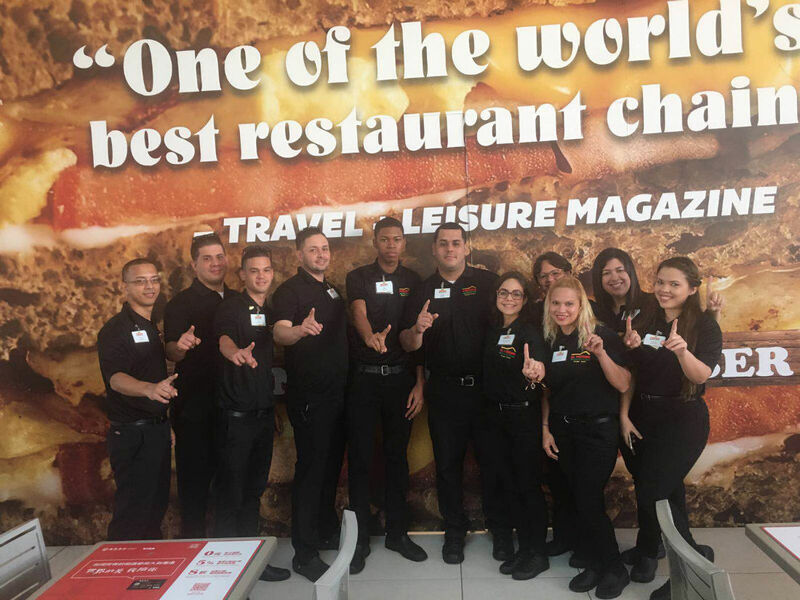 The new in-line restaurant, with a convenient drive-thru, is located at the Lee Vista Promenade, near Orlando International Airport. 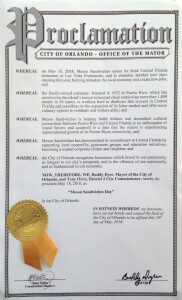 “We are delighted to have Meson Sandwiches as part of Orlando’s business community,” Dyer said. 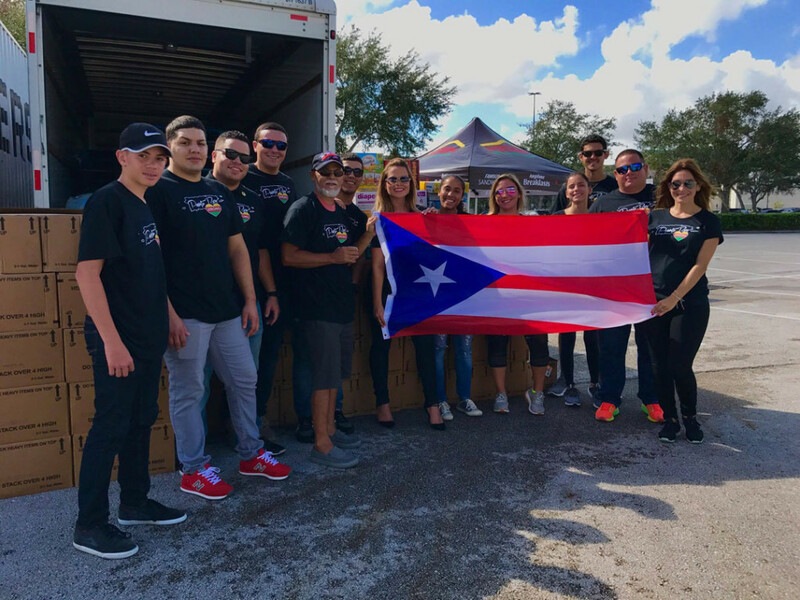 “Our community continues to grow and thrive, and the Puerto Rican community is a big part of that. With their famous sandwiches and fresh coffee, Meson Sandwiches will strengthen cultural connections between Puerto Rico and Central Florida as it serves our diverse, inclusive community”. 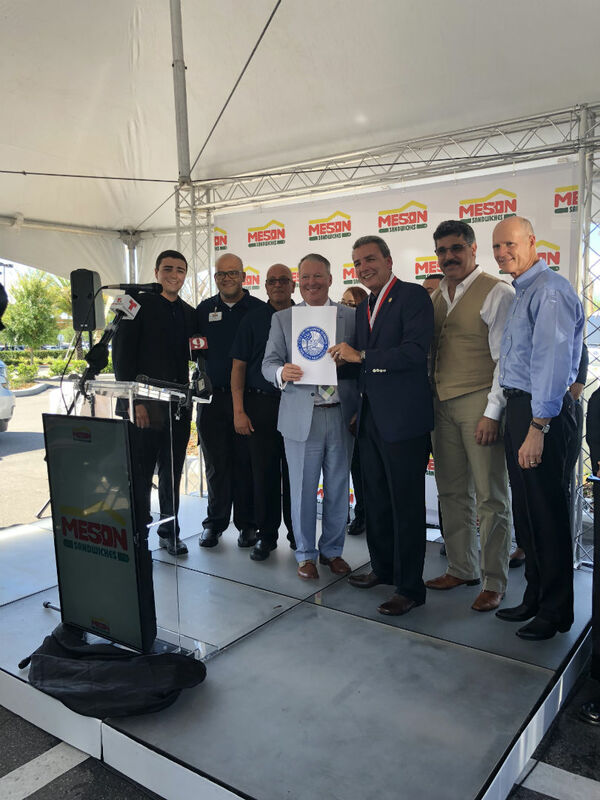 Each Meson store generates approximately 50 direct jobs, contributing to Central Florida’s strong job growth. The Orlando region has led the state in job creation for 37 straight months, creating 8,300 new jobs in the month of April alone, Scott added. The area’s unemployment rate is at 3.1 percent, .8 percent lower than the state’s 3.9 percent average. 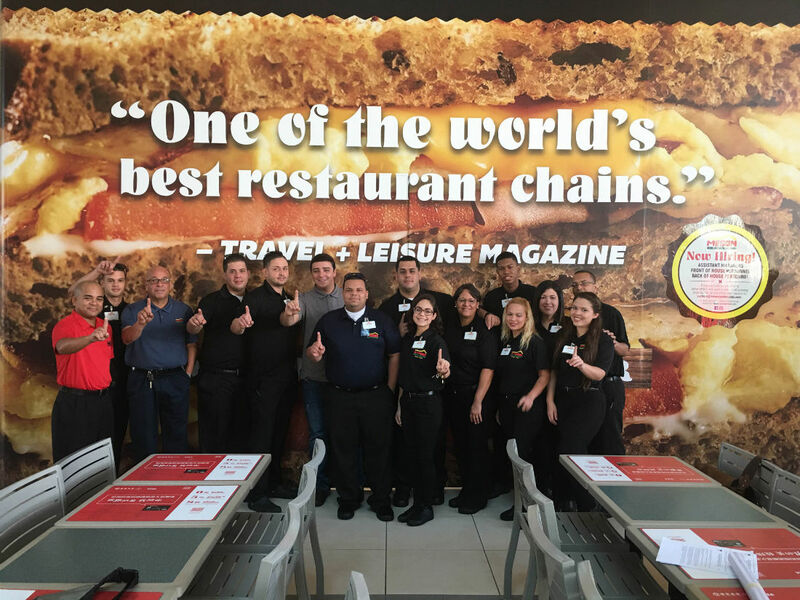 Pérez-Grajales said the restaurant chain founded by his father more than 45 years ago, is committed to serving Central Florida. A fourth Meson Sandwiches restaurant is scheduled to open early 2019 at Gardens on Millenia. The other two locations currently in operation are in Osceola Parkway and The Florida Mall. 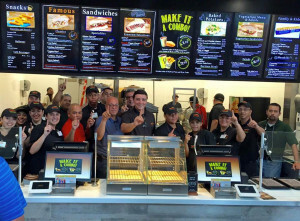 The new restaurant launches a new design concept for Meson Sandwiches in the mainland US. The inside walls will tell the company’s story through beautiful imagery to include murals and historic photographs. The artistic design will evoke the colors and warmth of the tropics for a laid-back, yet sophisticated feel. 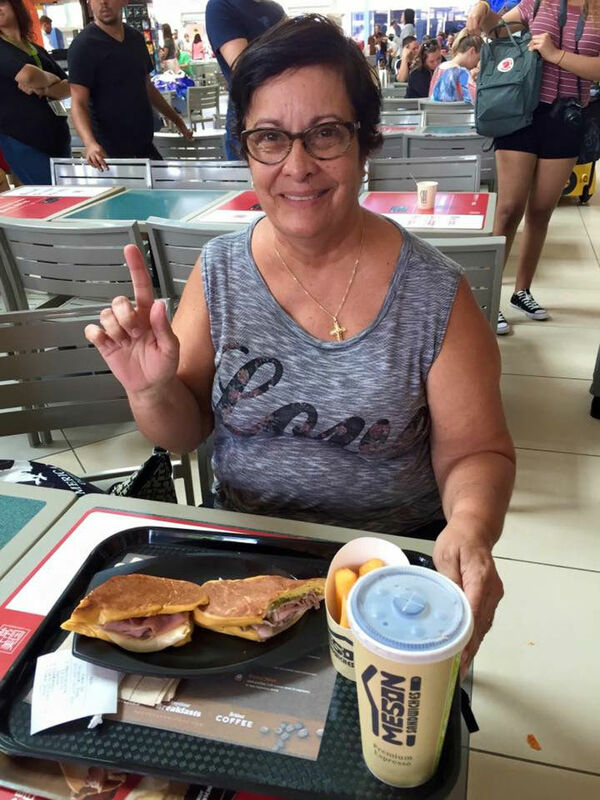 The pictorial representation will also pay homage to the diverse customer base Meson Sandwiches has had through the years, which includes American and European surfers at its original location in Aguadilla, as well as military families from nearby Ramey Air Force Base. The company currently boasts 37 stores throughout the island. 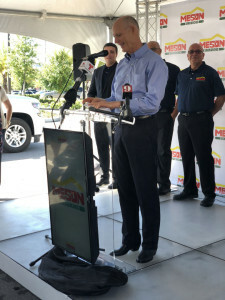 Each Central Florida Meson Sandwiches store represents millions of dollars in direct and indirect economic activity and generates about 50 jobs. 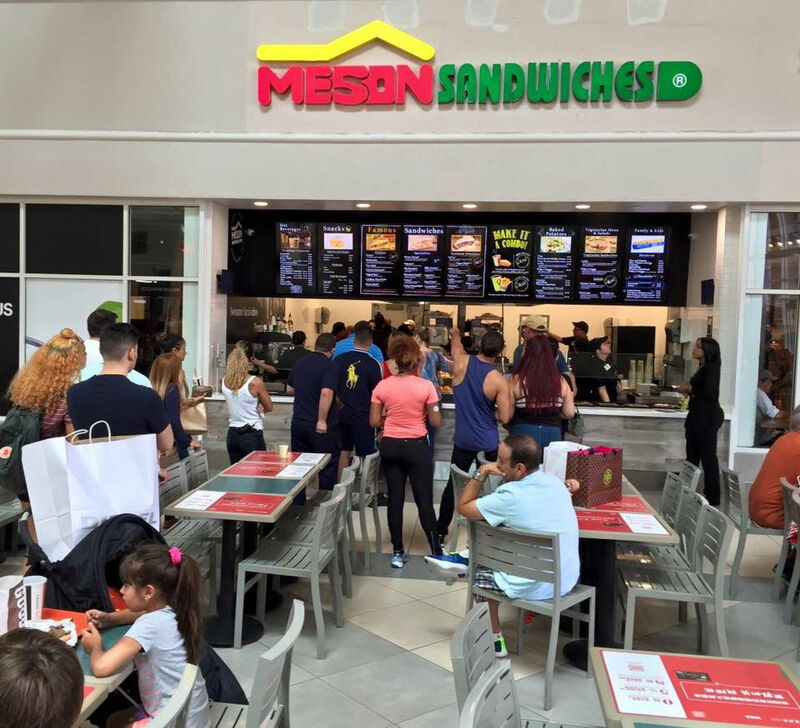 Meson Sandwiches is Puerto Rico’s largest restaurant chain. It offers all-day breakfast, 100 percent Arabica coffee, and an array of signature and specialty sandwiches for breakfast, lunch and dinner. Vegetarian options like salads, baked potatoes with multiple toppings and meat-free sandwiches are also available. 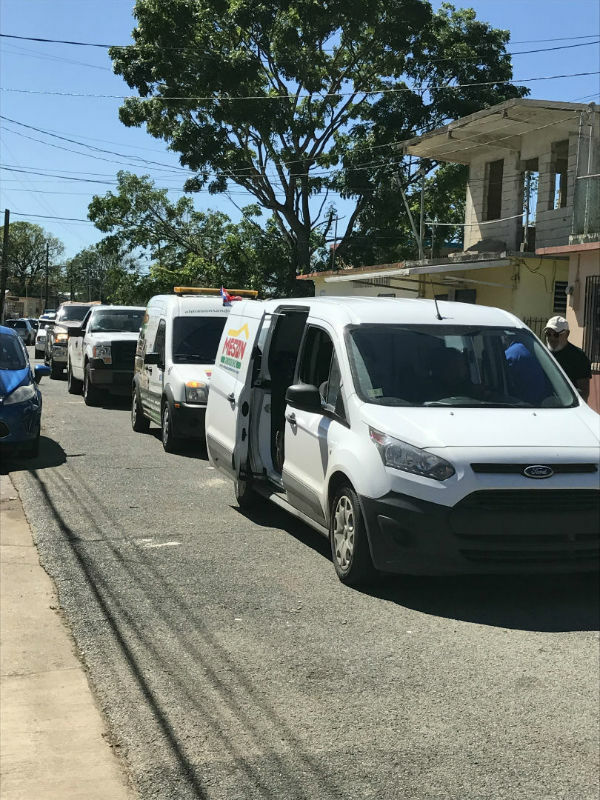 Cities and towns spanning the entire island of Puerto Rico were shred to pieces by Hurricane Maria just weeks after the embattlement of Hurricane Irma. The road back to normalcy will no doubt be long, costly and complex. 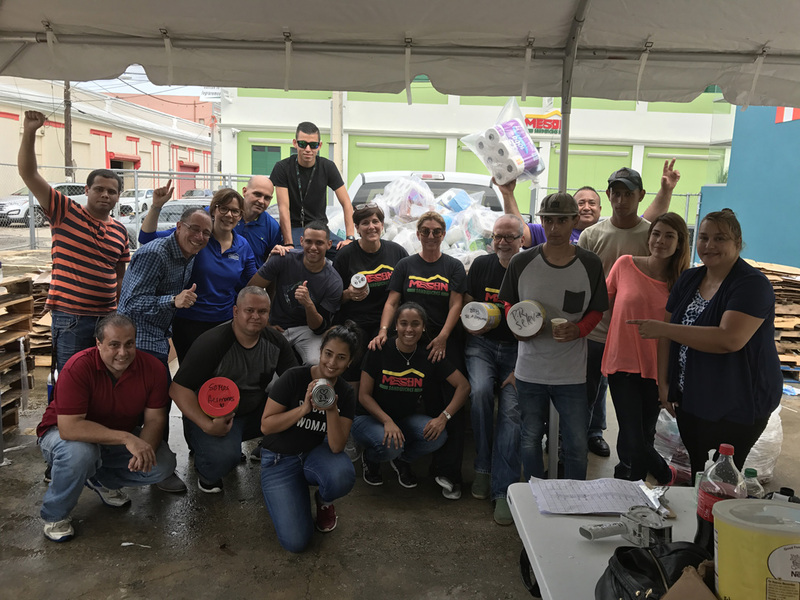 El Meson Sandwiches reiterates its commitment to be an active part in Puerto Rico’s recovery for the long run. 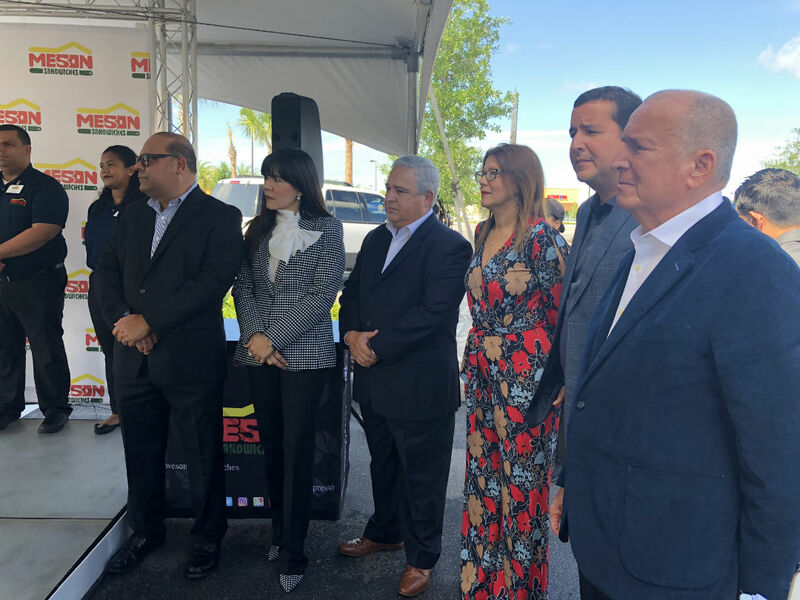 As a first step, and to help alleviate the suffering of those impacted, El Meson will utilize dozens of its stores throughout the island, specially the ones on the west coast, as distribution centers for emergency supplies. 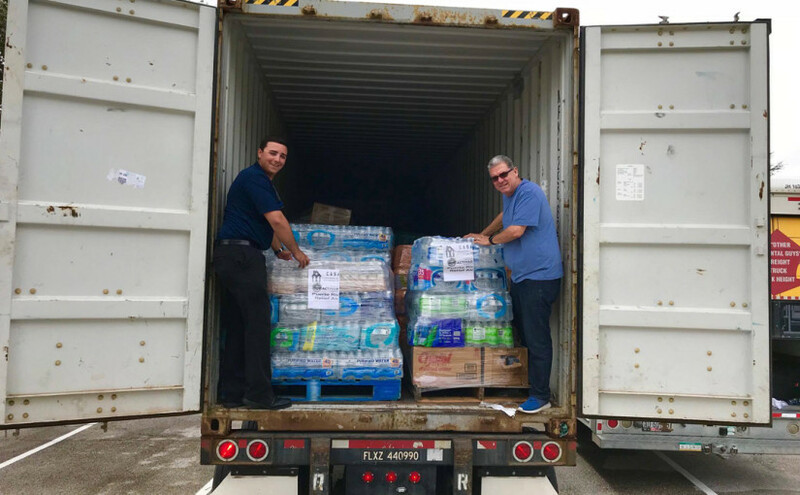 More than 200,000 pounds of items like bottled water, canned food, baby formula and diapers, and medicines, will go straight to the hands of thousands in need. 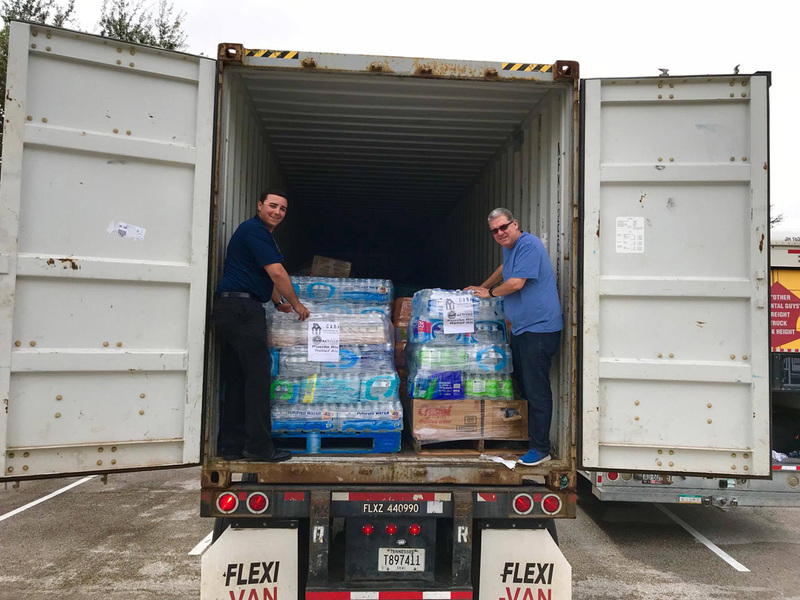 The supplies, which filled four maritime containers, were donated by Central Florida residents in various community drives, including one last weekend at El Meson Sandwiches’ Florida Mall location. 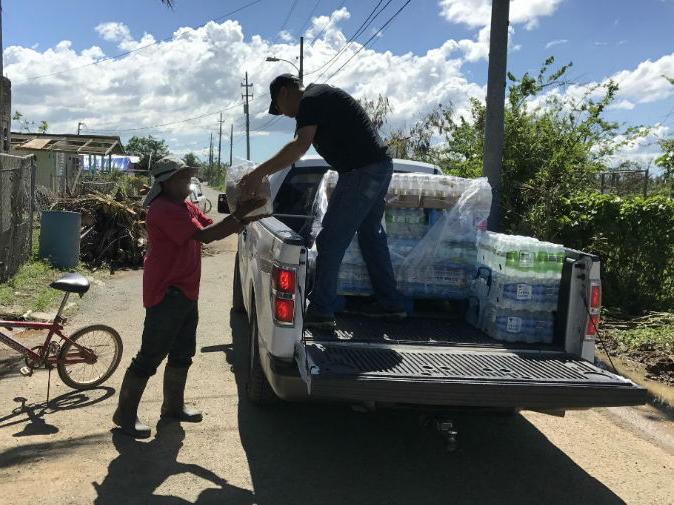 El Meson will cover the transportation costs of the goods, expected to reach Puerto Rico by the end of the month. 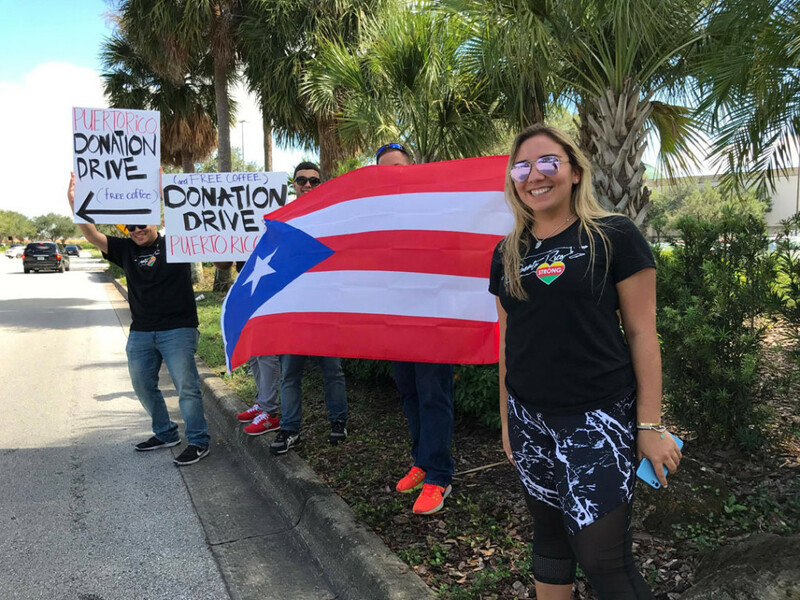 To broaden the reach of this initiative, El Meson Sandwiches joined efforts with iHeart Radio’s Activados por Puerto Rico, and with CASA of Central Florida, two community groups that are coordinating assistance, while also conducting emergency supply drives and fund raisers. El Meson Sandwiches has three restaurants in Central Florida located at the Florida Mall dining pavilion in Orlando, Osceola Parkway in Kissimmee, and the Premium Outlets at Vineland also in Orlando. Two standalone stores with drive-thrus are scheduled to open early next year in Lee Vista Promenade, near the Orlando International Airport, and in the Gardens of Millennia, near The Mall at Millennia. 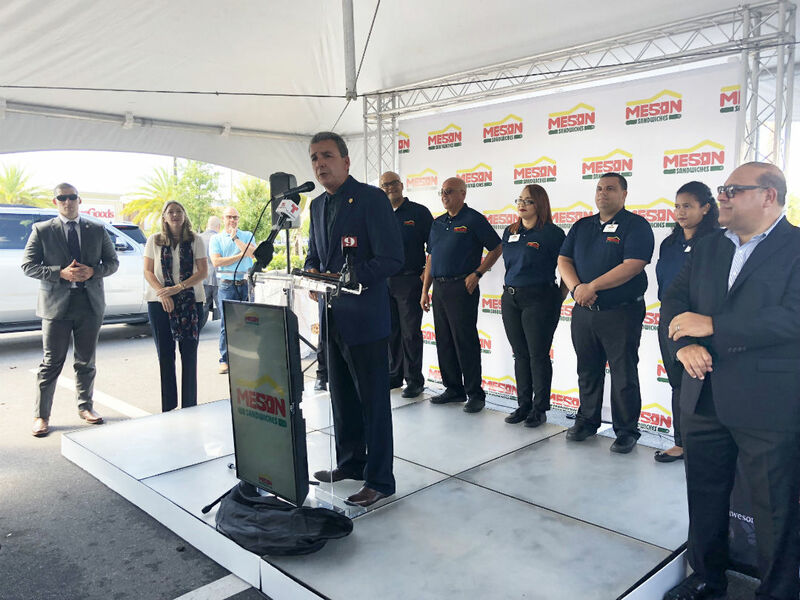 With the completion of these two new stores, El Meson Sandwiches will have five restaurants in Central Florida by 2018. 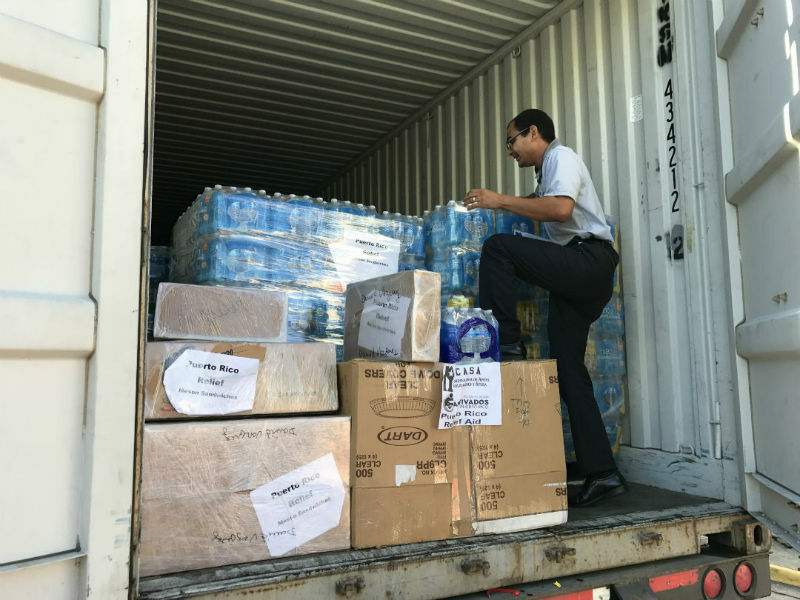 More than 200,000 pounds of items like bottled water, canned food, baby formula and diapers, and medicines, will go straight to the hands of thousands in need. 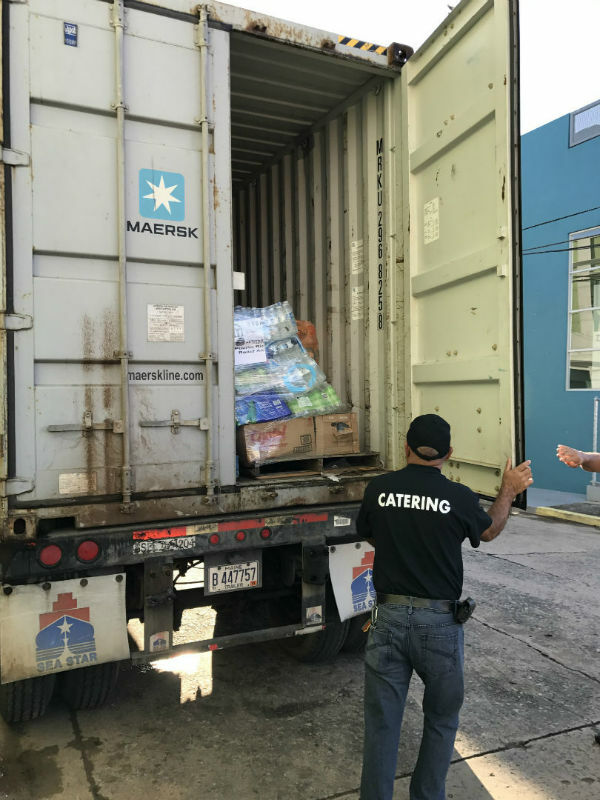 Containers that departed from Orlando filled with items to help Puerto Rico were received by El Meson Sandwiches in Mayagüez. 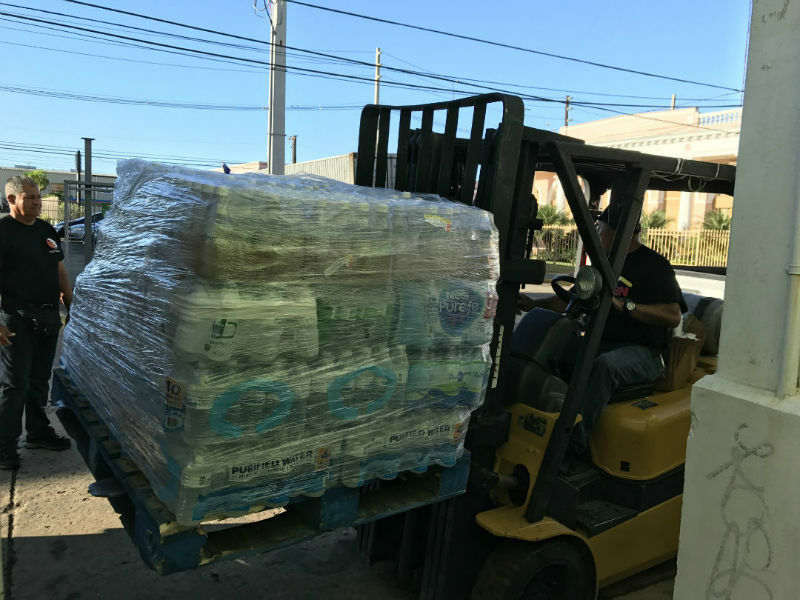 Donations reaches the communities of PUERTO RICO, thanks to volunteers and employees of El Meson Sandwiches. 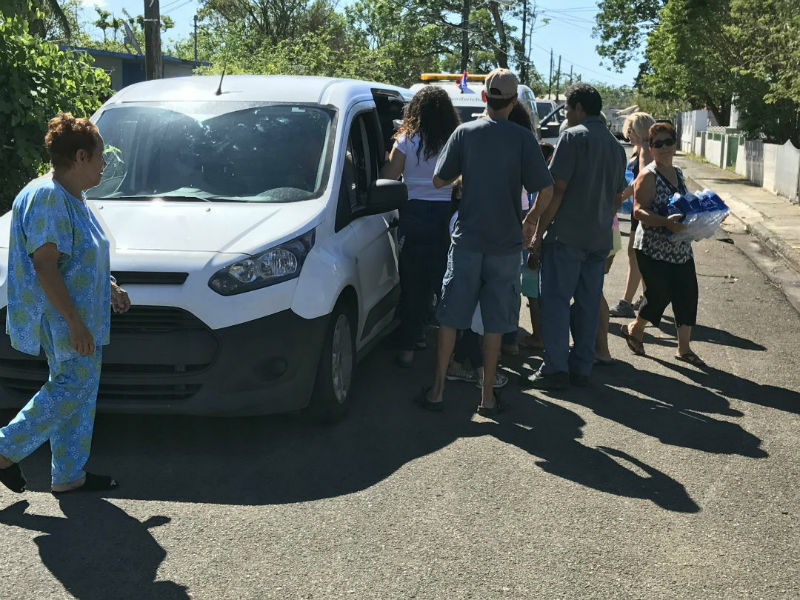 Distributing supplies for the victims of Hurricane Maria in Puerto Rico was a family affair. 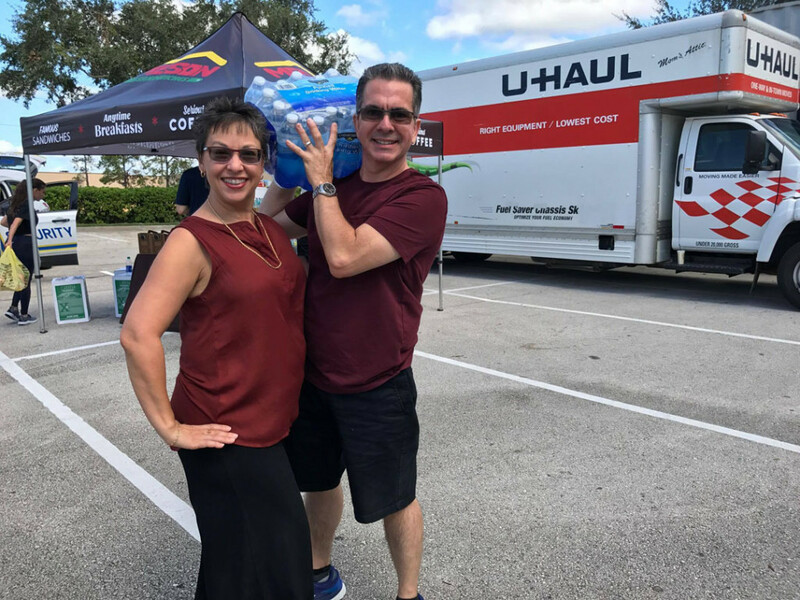 Thanks to our President Felipe and his wife Iraida along with the rest of the Meson team for helping us pass out donations, and to Felipe Perez III for the great idea. 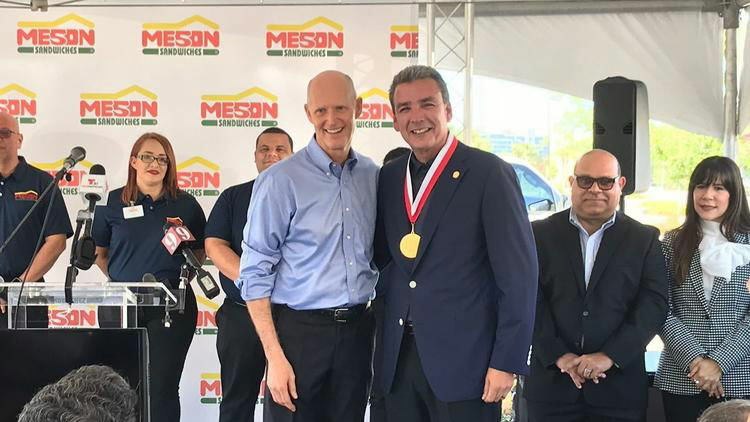 The president of El Mesón Sandwiches, Felipe Pérez, informed that he met up with Florida Governor Rick Scott, who supported the Puerto Rican restaurant chain’s expansion in the Sunshine State. 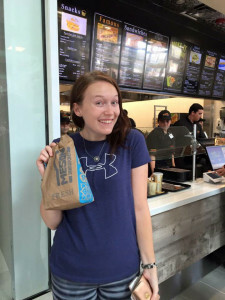 The meeting, requested by Scott himself, was effected in the restaurant with a drive-thru located in Osceola Parkway, Kissimmee. Government officials and the managerial team of El Mesón Sandwiches in Orlando convened for one hour and a half. 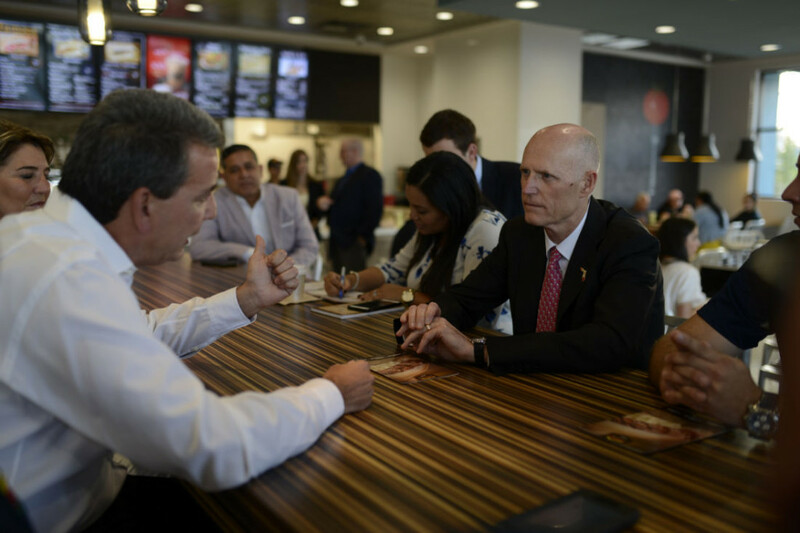 “Governor Scott praised and thanked our determination to select Florida as the first destination of our company’s expansion plan. 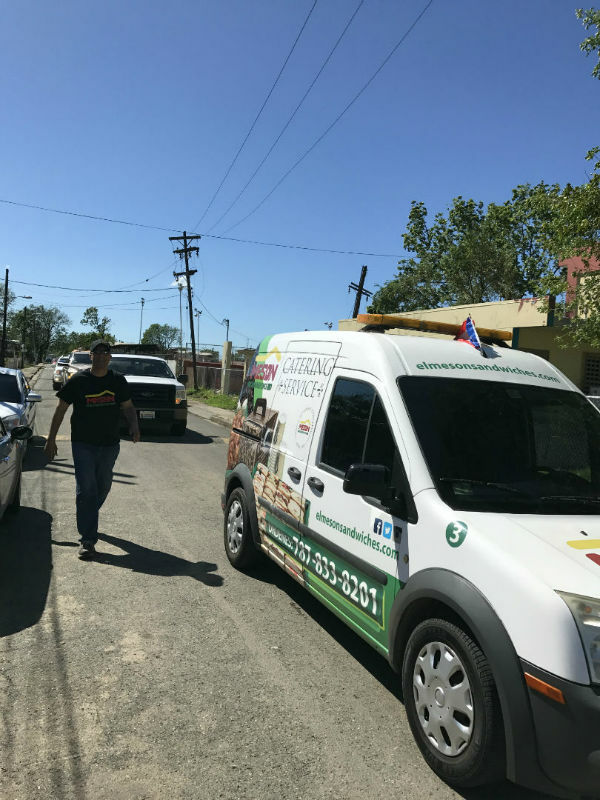 He got to see our operations first-hand, and expressed his full support to El Mesón Sandwiches,” said Pérez in written declarations. 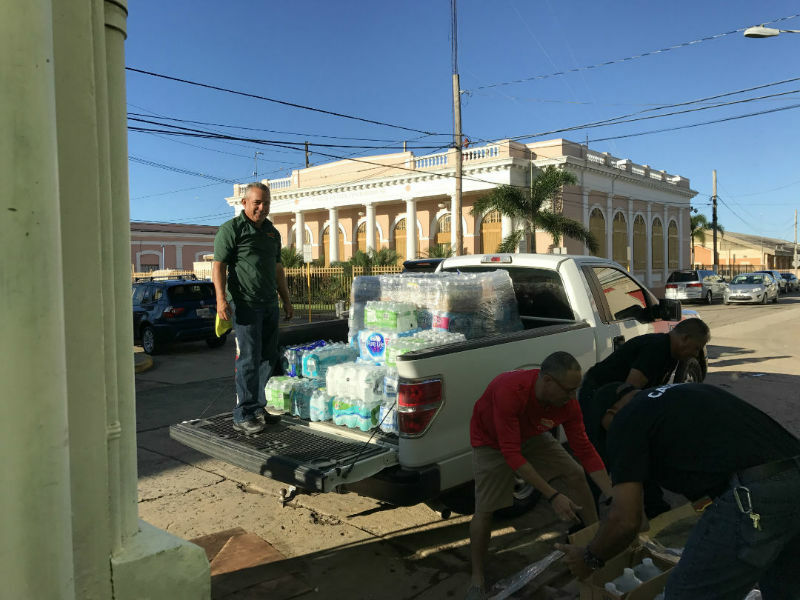 “I was surprised by how much Scott knows about our island and the fiscal and economic crises we are facing as a people,” added Pérez. During his visit to the restaurant, Scott took the opportunity to enjoy a Whitehouse sandwich with sautéed mushrooms and iced tea. El Mesón Sándwiches currently has three restaurants in central Florida. 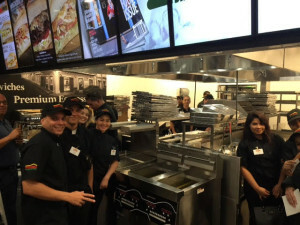 In June 2015, the company opened its first joint in Florida Mall’s Dining Pavilion. In June 2016 it opened its second restaurant with a drive-thru in Osceola Parkway, Kissimmee; and its third inaugurated September 2016 in Premium Outlets Vineland’s food court, in Orlando. In 18 months, the chain will open two new restaurants with drive-thru windows: one of these will be located in Lee Vista Promenade, and another in The Gardens of Millenia, next to The Mall at Millenia. 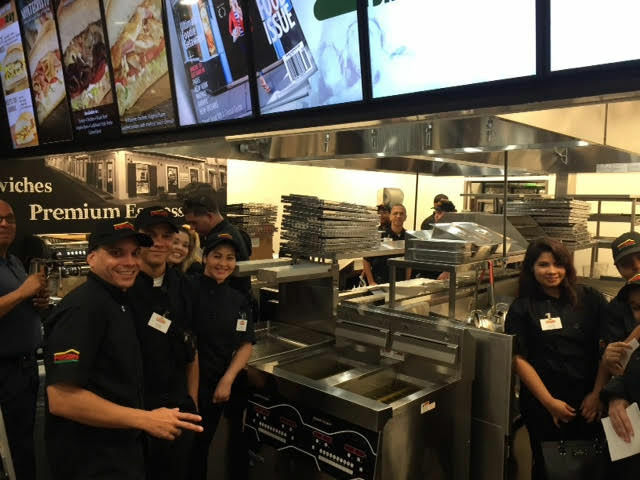 With these new installations, the Puerto Rican-owned company will have five U.S. establishments by 2018. The company is opening its third Orlando area store this week with two more to come in 2017. ORLANDO, Fla., Sept. 17, 2016 /PRNewswire/ — Meson Sandwiches, a fast casual restaurant that marries the flavors of the Caribbean with an American staple, will open this week its third Central Florida location at the Premium Outlets Vineland, 8200 Vineland Ave., Orlando. 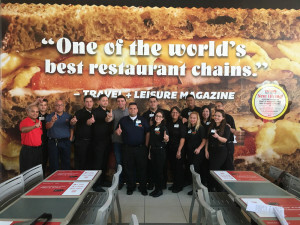 Two other Meson restaurants are scheduled to open next year in Lee Vista Promenade and the Gardens on Millennia, also in the Metro Orlando area, for a total of five locations by the fall of 2017.”Now our Florida customers have more locations from which to get their favorite sandwiches, breakfast all day or a steamy cup of café con leche,” said Meson President, Felipe Perez Grajales. “There’s something for everyone in our menu.”The new restaurant will open on September 15, in the Premium Outlet Vineland’s food court. 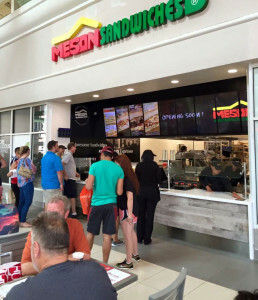 This is the second Meson in a food court in Orlando. 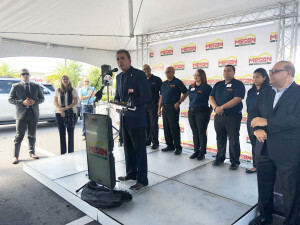 The Osceola Parkway location and the stores that will open next year, are all free-standing buildings with spacious dining rooms and convenient drive-thrus. In all of its locations Meson offers all-day breakfast, 100 percent Arabica coffee and an array of signature and specialty sandwiches for breakfast, lunch and dinner. Vegetarian options like salads, baked potatoes with a variety of toppings and vegetarian sandwiches are also available. 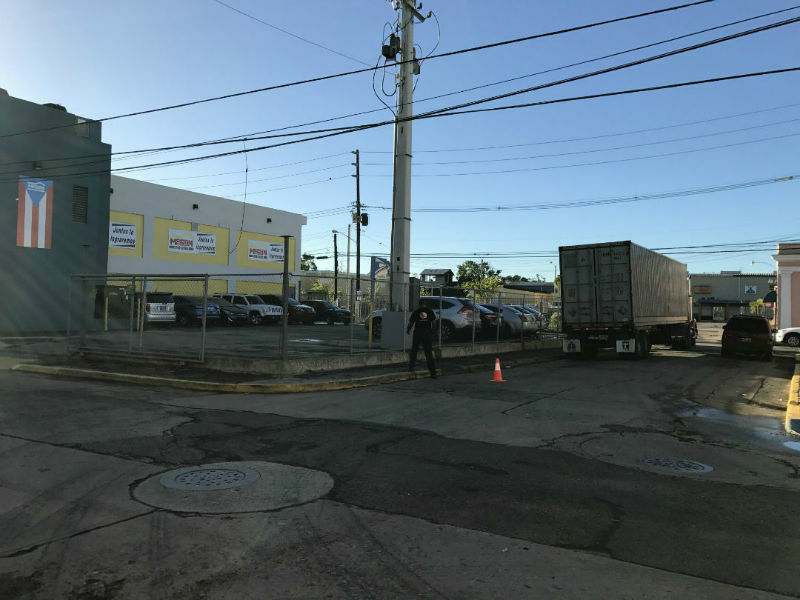 Based in Mayaguez, Puerto Rico, El Meson is a family-owned company first established in 1972. It has 36 stores in the island and began its mainland expansion in the summer of 2015 with its first Orlando store at the Florida Mall. 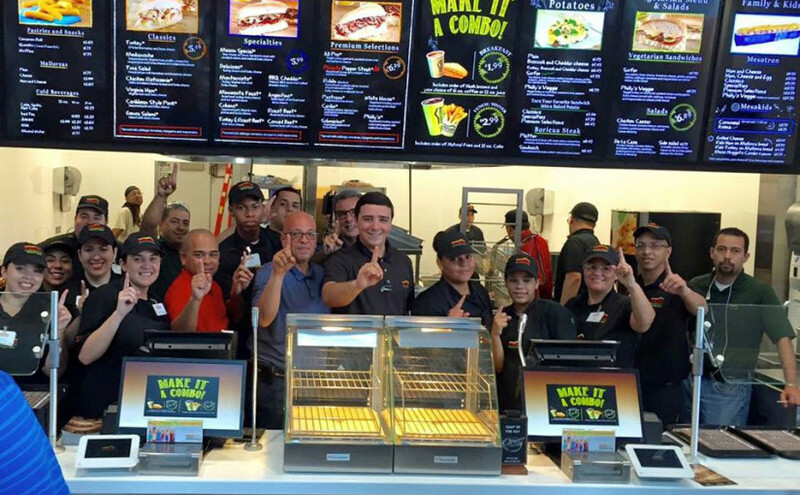 A second store opened earlier this year at the Osceola Parkway, in Kissimmee. Each Meson grosses $2 million on average and employs 40-50 people. 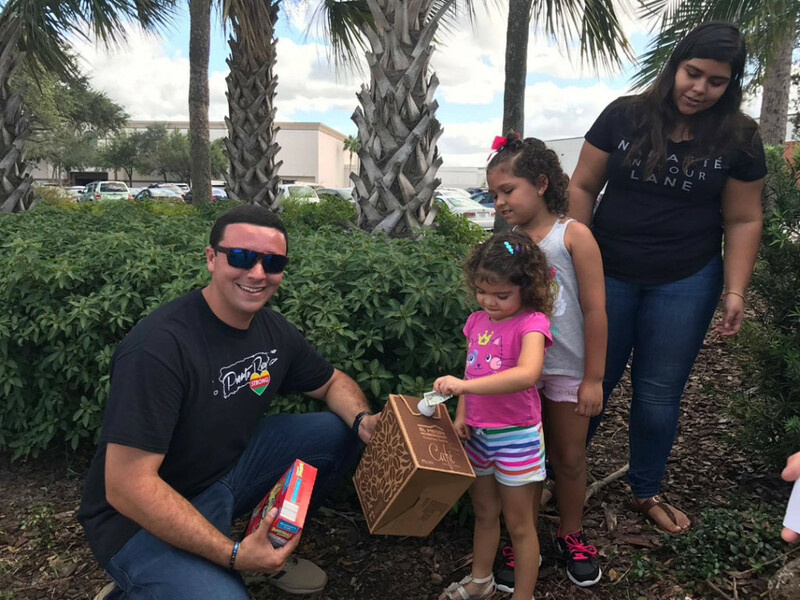 The expansion to the Florida market means more jobs for The Sunshine State, while helping strengthen its economy through direct and indirect business activity. Meson has received national and international accolades for its innovative menu. 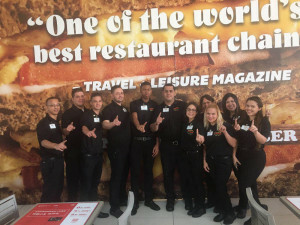 The recognitions include a Travel + Leisure Magazine’s designation in 2015 as one of the world’s top fast casual chains. Many of the sandwiches incorporate cabbage to add texture. Some of Meson’s loyal customers’ favorite items include the Turkey Sandwich, with 97 percent fat-free turkey and Swiss cheese, and the All-Pro, with Virginia ham, pastrami, sautéed onions and melted Swiss cheese. Veggie lovers will find The Surfer sandwich delightful, with soy-based salami, Swiss and American cheeses, pickles, peppers, onions, tomatoes and cabbage on slightly sweet criollo bread. Other crowd’s favorites are the Medianoche, Cubano and Boricua Steak sandwiches, which hail to the restaurant’s Caribbean roots.